Good Works! 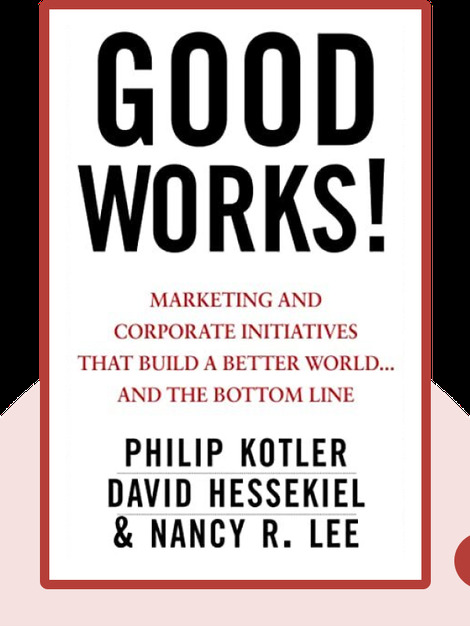 (2012) offers an insightful look into the way doing good can actually help companies prosper. Based on contemporary, real-life examples, it provides business-minded people with the tools and strategies they need to make a difference in the world and turn a profit at the same time. Philip Kotler is an American marketing consultant, professor and author. He has written over 55 books on various marketing-related topics, such as The Ultimate Book of Business Gurus and Business Minds. David Hessekiel is the president of the Cause Marketing Forum, an organization dedicated to helping businesses and nonprofits come together to improve the world. Nancy Lee is the founder and president of Social Marketing Services, Inc. She conducts seminars and workshops on social marketing, and is an adjunct faculty member at University of Washington’s Evans School of Public Affairs. 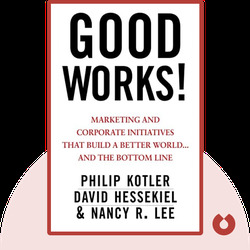 © [Philip Kotler and David Hessekiel: Good Works!] copyright , John Wiley & Sons [Inc. or Ltd. as applicable] Used by permission of John Wiley & Sons [Inc. or Ltd. as applicable] and shall not be made available to any unauthorized third parties.